For the parallel external fixator, there are some defects, such as uneven distraction rate, unbearable pain and uncontrollable movement trajectory in practical clinical applications. In order to solve the problems, a new deformity correction algorithm, which is used to calculate the elongation of the six struts, is developed. Meanwhile, the corresponding computer software for getting the electronic prescription is developed. First, the trajectory of the moving bone is planned by Cartesian coordinate path control. Next, the prescription is obtained from the trajectory by the inverse pose solution algorithm. Finally, the genetic algorithm is utilized to optimize the achieved prescription. 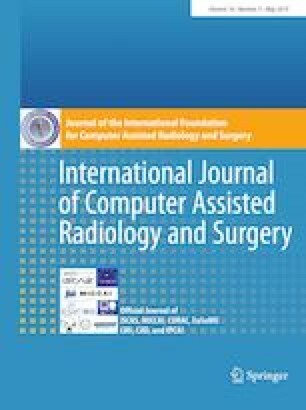 From the year of 2015 to 2018, twenty-three patients with complicated tibia deformity are treated by using parallel external fixator and the developed computer software. All patients have standing, patella-forward, full-length post-operative AP and lateral radiographs of the lower limbs with the complete proximal ring for getting the deformity parameters and frame parameters. These parameters are input into the computer software to calculate a daily prescription schedule for strut adjustment. Radiographs are taken regularly to determine the effects of recovery during the correction process. The mean time of follow-up is 18 months (range 11–40 months). All patients reach the requirements for deformity correction, and their symptoms and appearance are improved significantly. No cases of wound infections or complications occur, and no severe pain came as well during the correction process. By using the computer-aided parallel external fixator for the correction of lower limb deformities, satisfactory outcomes can be achieved. Hence, this method greatly improved the treatment of these patients in a clinical application. Xishuai Zhang, Hao Sun, Jianwen Chen, Yue Guo, Yinguang Zhang, Zhenhui Sun, Tao Wang and Mengting Wei authors contributed equally to this work. The research work is supported by National Natural Science Fund Project of China (No. 61773151), National Natural Science Fund Project of China (No. 61703135), Hebei Province Natural Science Fund Project (F2018202279), Key Projects in the National Science & Technology Pillar Program during the Twelfth Five-year Plan Period of China under Grant No. 2012BAI33B06. Thanks to the clinical work of orthopaedic surgeon in the National Research Centre for Rehabilitation Technical Aids. All procedures performed in studies involving human participants were in accordance with the ethical standards of the institutional research committee and with the 1964 Helsinki Declaration and its later amendments or comparable ethical standards interest.